If you have had enough of this kind of right-wing pro-capitalist propaganda, if you want to give Fox News and Forbes more reasons to freak out about a real socialist fighting for $15/hour, rent control, against corporate control of politics and society – this is your time to help us: We have to run a full after-election campaign to get thousands of disputed votes for Sawant protected. Hundreds of volunteers are visiting voters to get their signature to make sure their vote is counted. This is an extra-operation to win a very close race, with Kshama Sawant ahead by a razor thin margin of 41 votes against a Democratic Party incumbent. The hair-brained anti-socialist diatribe against Kshama Sawant from Alex Berezow is a symptom of a broader intellectual decay of US capitalism. The article, originally from realclearscience.com, provides nothing real, clear or scientific and Berezow’s anti-red hysteria would give McCarthyites a run for their money. He opens by admitting that economics is known as the “dismal science” and, at best, economists have come up with “something that resembles scientific knowledge.” Has Berezow even been paying attention to the last five years of entrenched economic stagnation and global turmoil? Traditional (read capitalist) economists don’t have a clue as to the origins of or what to do about the present crisis of capitalism. They were completely blind to the trends and processes that led to the deepest economic crisis since the 1930s. 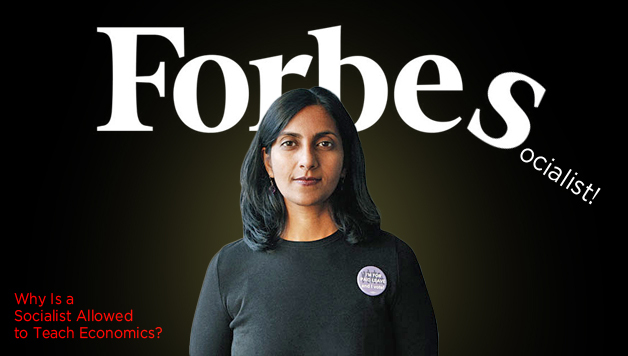 On the other hand socialist economists, like Sawant, correctly predicted the current economic crisis and have put forward real solutions to get us out of this deep stagnation and recession. Berezow regurgitates the old argument that capitalism provides the best incentive for people to work. But why is that thousands of workers in the fast food industry are taking strike action for $15 an hour wage and union representation? Isn’t it blatantly obvious that when workers like those in fast food and other services are paid crumbs and given no voice or respect in the workplace that they don’t care at all about their jobs. If we work harder we don’t see an extra dime so where is the incentive there? The mythical ladder of economic success only has one wrung, which is broken, while we’re stuck in a basement of economic despair. The opposite of what Berezow claims is true. By providing working people the compensation they deserve but also a real say and ownership over their work, community and society, we can harness the tremendous untapped energy, creativity, and human potential, which currently lies idle, and direct it towards rational social needs. Just take a look at Dan Pink’s research into what really motivates people to work. Berezow claims that the tens of thousands of working people who have been inspired by Kshama’s campaign because someone is finally speaking about the day-to-day struggle that they face, boldly raising policies that would actually improve their lives, are just being “duped.” He thinks not only do you not deserve $15 an hour but that you’re stupid to even believe you should. Despite the utter lack of any sophistication in Berezow’s drivel, it should be seen as a warning that when socialists and working people speak out against this rotten system and demand real change we will be met by all the viciousness and contempt of the ruling elite and their hired henchmen. Instead of debating the burning issues facing our society, they attempt to silence and discredit our voices. But we will not be silenced. We are inches away from winning a historic victory for working people and we need your help. The election is so close that we have to fight for every vote to be counted. This takes tremendous resources and additional staff so it is a matter of urgency that you donate to the campaign today. The lose grip on reality held by commentators like Berezow is matched only by the deceit and callousness on the part of the political representatives of this broken for-profit system. But Kshama’s campaign represents a new hope that we that can challenge years of neglect and indifference and we can speak out and demand what we need. We don’t have to sit silently anymore. The time has come to rebuild a grassroots social movement in the U.S. for real change. Join us!